While the 16th round of negotiations surrounding the 11-nation Trans-Pacific Partnership wraps up in Singapore this week, K Street has plenty to say about the trade alliance and its terms at home. A number of high-profile lobbying clients that have plenty at stake in free trade agreements, especially a new cross-Pacific Asian alliance that could counteract China’s trading power. The TPP, which many are calling the core of the Obama administration’s pivot to Asia, deals with a range of trade issues, though most of the corporate stakeholders are primarily concerned with intellectual property rights, according to 2012 lobbying reports. Through the end of 2012, 166 lobbying clients mentioned the TPP in their lobbying reports to the House and Senate since the partnership formed in 2010. The U.S. Chamber of Commerce seems to have the greatest interest in the partnership, mentioning it 42 times overall and at least 16 times in 2012 alone. The Chamber has focused particularly on protecting intellectual property rights in foreign trade, especially against online infringement and counterfeit goods. Google, one of Podesta Group’s clients, has mentioned the TPP 17 times in its lobbying reports, about half of which were in 2012. Google has lobbied especially for online freedom of expression and protecting Google Maps, Google Earth and YouTube from counterfeiting abroad. 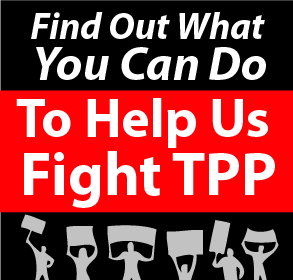 The AFL-CIO has mentioned the TPP in its lobbying reports 21 times. The AFL-CIO is primarily concerned that the new pact will follow the same format as the North American Free Trade Agreement, which it says “promotes a race to the bottom,” in that it prioritizes cheap goods produced by low-wage jobs, without increasing wages, product safety or quality of life in either the United States or in partner countries. 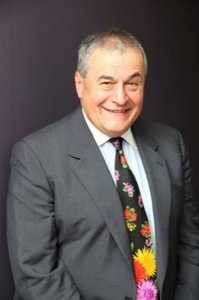 Former Mexican Ambassador to the U.S. Arturo Sarukhan is leaving his diplomatic post to take over Podesta’s new global lobbying arm as its chairman. As ambassador, Sarukhan was involved with NAFTA negotiations and helped Mexico join the TPP. Mexico and Canada joined as members last year, though China is not included in the partnership. The other nine members are the United States, Australia, Brunei Darussalam, Chile, Malaysia, New Zealand, Peru, Singapore and Vietnam. Japan has discussed joining the partnership with the United States and will likely make a decision this year, according to Reuters.